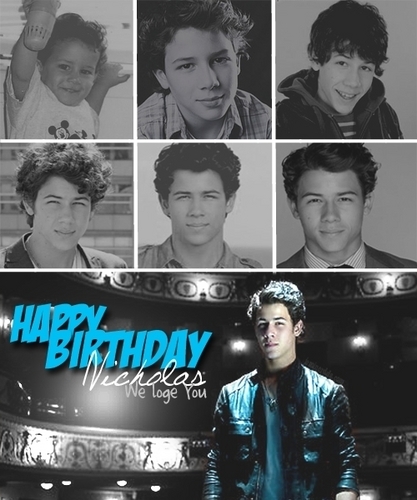 Happy Birthday, Nick.. . Wallpaper and background images in the 尼克·乔纳斯 club tagged: nick jonas nick jonas jonas brothers hot music. This 尼克·乔纳斯 fan art might contain 标志, 海报, 文字, 黑板, and 文本.